We’re very pleased to announce that we have just turned 21! And what a magnificent age to get to! With over 21 years of experience, we’ve grown to be one of the best known brands in the UK and we’ve been celebrating by sharing facts about ChipsAway all month via Twitter and Facebook. In case you’ve missed them, here are 21 facts about ChipsAway! The company actually started life in the USA before it was brought over to the UK in 1994, pioneering smart repair technology. We’re still the brand leaders in SMART repairs! ChipsAway is a little misleading – we do anything from scratches and scuffs to dents and alloy wheels! ChipsAway are a national company with over 300 specialists across the country! We’re part of the Franchise Brands group along with other brands you might have heard of, like Ovenclean. Did you know we have a thorough 15 step repair process? 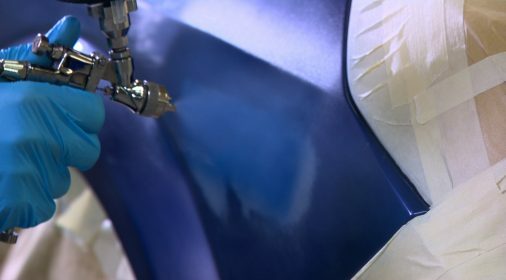 Have you ever wondered how our specialists repair paintwork? Just click here and find out! 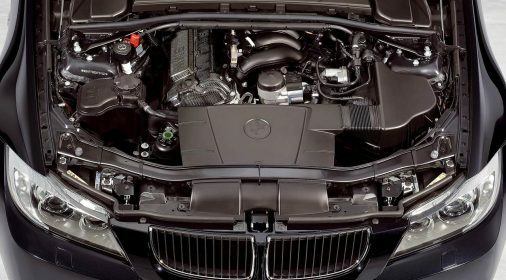 We may specialise in bodywork repair, but we give advice on all things motoring too – just check out our blog! 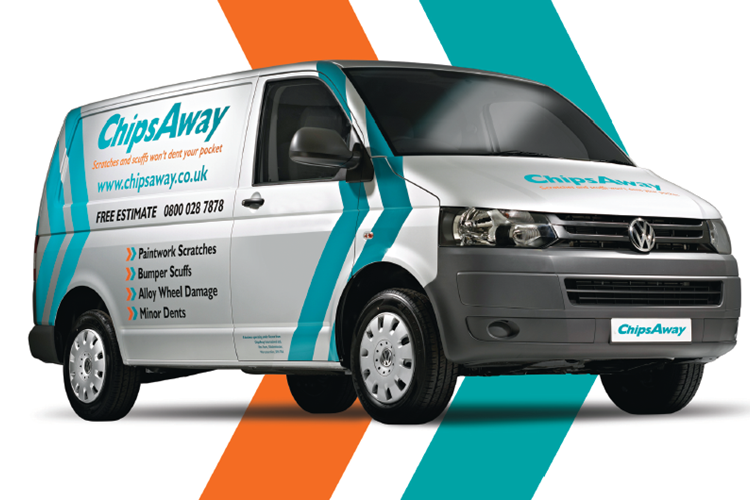 ChipsAway is a mobile specialist operation and we can come to your home or work to do repairs – we just need a power supply! We also have 40 CarCare Centres dotted around the UK, which can carry out larger repairs. We often work out far cheaper than bodyshops as we only work on the panel of your car that needs the repair. ChipsAway has international reach, from Chile to Saudi Arabia and is in over 12 countries across the world now! Our optimised website is compatible with mobiles and tablets, so you can request an estimate on the go! We have the largest network of repair specialists in the UK! ChipsAway offer free, no-obligation quotes as standard. ChipsAway is a full member of the BFA. It’s so easy to get a ChipsAway quote – just fill in our online Estimate Form. We use our Facebook and Twitter feeds as ways of sharing all the latest and interesting car gossip, make sure you’re following us! We’re on TV! If you haven’t caught our ad – just click here! We are always running competitions through our e-newsletters so don’t forget to sign up for your chance to win! ChipsAway is a franchise company, if you would be interested in running your own ChipsAway business – click here for more information. A ChipsAway repair can be completed in just a few hours! 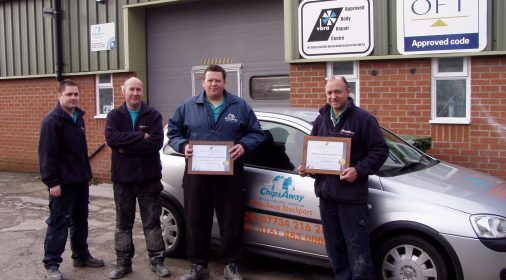 All ChipsAway specialists have undergone specialist training at our bespoke IMI accredited training centre! All in all, we’re proud that ChipsAway is still a brand leader and how we’ve grown to be such a successful business that cares about customers and their car care needs. 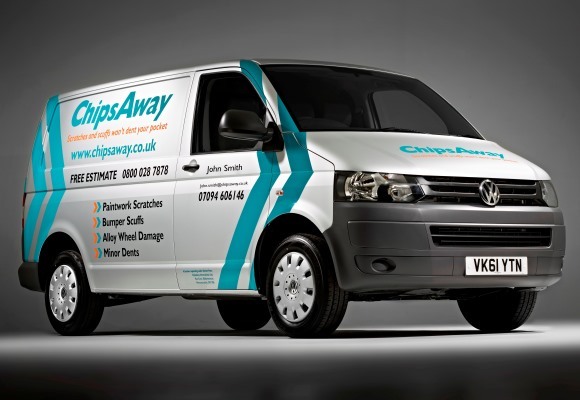 If you would like to receive the ChipsAway experience, just phone 0800 028 7878 or complete our online form to receive a free, no obligation estimate on your vehicle.